Olivia Margaux: 5 Things Friday...Scratch That! 6 Things Thursday! 5 Things Friday...Scratch That! 6 Things Thursday! 1. 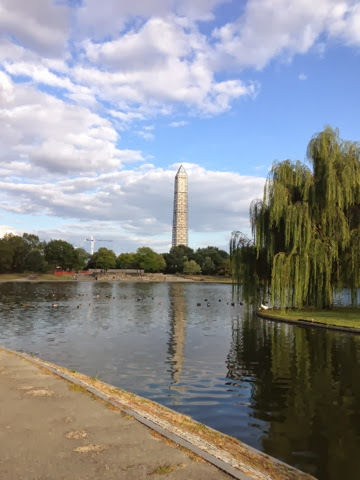 A gorgeous view of the Monument from my bike ride on Sunday. I rode around a path that I have never taken and the view was breathtaking. The ducks were enjoying basking in the sunshine just as much as I was and look at that awesome tree! 2. A sweet and festive "congrats on no more baby tooth" gift from Beth. 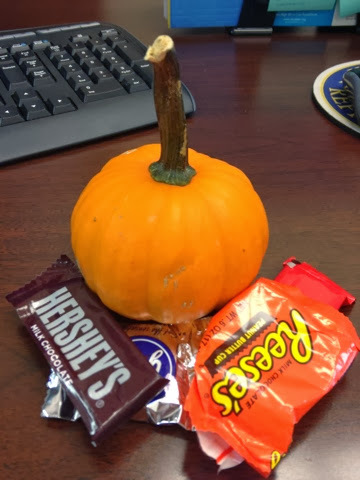 All of that candy may or may not be in my belly already. 3. 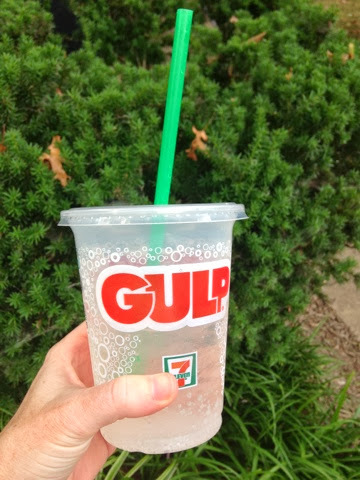 My new favorite treat is a Fountain Sprite. Not a Sprite Zero but a full of calories and sugar REAL Sprite. It isn't Paelo, but I enjoy it. When I was younger, I hated Sprite...it is crazy how things change. 4. Here is a video of me when I first got on the Segway. A little bit timid, slightly scared, and very excited! 5. 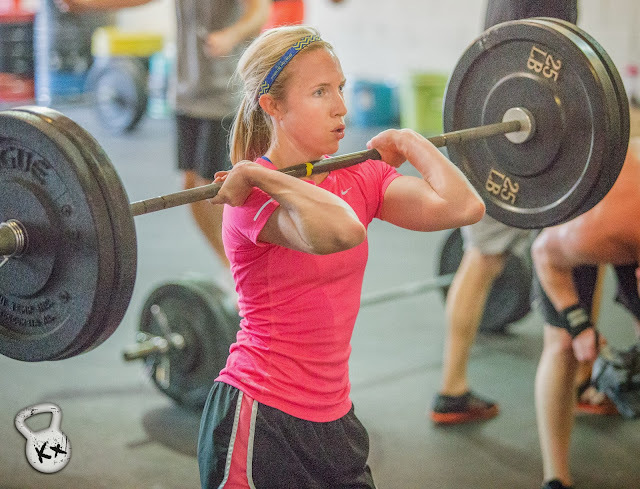 Another picture from the WOD on Saturday. This is a pic of the 105 pound power clean. Rip It! 6. It is football season, and you know what that means? One of my favorite tv shows is back on. No, not Monday Night Football...Dallas Cowboys Cheerleaders Making The Team! I am obsessed with this show. It chronicles the audition process to be a DCC from start to finish, and let me tell you it is brutal and addicting to watch! Do you watch DCC Making the Team? What is your new favorite treat?